Tony graduated High School in Tokyo Japan, and then he returned to the United States to Graduate from Paul Smiths College in upstate New York in Hotel and Restaurant Management. He started his culinary career as an Assistant Chef for Stouffer’s Restaurants and Hotels in St. Louis. After a few years he moved to NYC where he started working for food Management companies, managing such companies like AT&T and American Express. He then relocated to Pennsylvania where he starting working for higher education dining services. 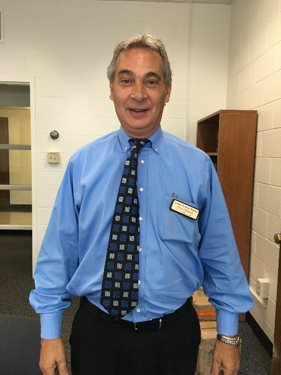 He has been working for Parkhurst for 12 years and has managed dining services for Colleges such as Bridgewater College in VA, Elmira College in Elmira NY, Delaware University in Doylestown PA, Philadelphia University, Rosemont College and now at Juniata College. He is very happy and honored to have been asked to join the family at Juniata College as the General Manager of Dining services. My love for food began when I traveled in Europe at a young age with my family, and lived in Edinburgh, Scotland. Later, we set off again through Asia and the South Pacific, landing in Sydney Australia for my 10th grade year in high school. By the end of that year I was fascinated and intrigued, having seen firsthand that geography, climate and culture create cuisines with endless possibilities. I am a native of Central Pennsylvania. I graduated from State College Area High School, before studying at The Culinary Institute of America in Hyde Park, New York. My professional culinary journey started with a two-day Greyhound bus ride from New York City to Chicago for a position in the Pastry Shop of the 4-Star Ritz Carlton Hotel, which was indeed glamorous. Hundreds of dessert soufflés and one frigid winter later, I jumped on a plane to Miami, where I started as a line cook at the Fontainebleau Hilton, but stayed long enough to become Chef of one of the hotel’s seven restaurants. I left Miami for a stint as Chef Garde Manger at a Classical French restaurant in Manhattan—a great experience but once again, Miami called me back from the cold. There, I joined a hotel management group, The Continental Companies, and climbed the ladder for the next 10 years: as Chef of Regine’s on top of the 5-Star Grand Bay Hotel in Coconut Grove, Chef at Bonaventure Hotel and Spa in Fort Lauderdale, Executive Chef of the Sheraton Design Center Hotel in Fort Lauderdale, Executive Chef at the 4-Star Colonnade Hotel in Coral Gables, and finally Corporate Chef, traveling around the country to some of their 52 properties from my base in Miami. During these years, I participated in many events, competitions, and food shows, but the highlight was my invitation from Robert Mondavi to be among the chefs chosen to cook for Julia Child’s 80th birthday celebration. It was quite a party. After the rise of Floribbean Cuisine and the later struggles in the wake of Hurricane Andrew, I needed a change. I moved to Palm Springs California to work for Sonny Bono as Executive Chef and General Manager of his restaurant. Three years later, his tragic death closed the restaurant. Moving to San Diego, I opened a restaurant in the gas lamp district called Plateau, a garlic restaurant before deciding to go back to school to earn a degree in design at the Design Institute of San Diego. I wanted to design hotels and restaurants to make both the front of the house and the kitchen function smoothly. I worked in the design field until my daughter was born, then moved back to State College to be closer to family. At Penn State, I designed the concept, dining room, and menu of the Blue Chip Bistro in the new Business Administration Building on my way to becoming Executive Chef of Campus Catering. We catered hundreds of events, including football Saturdays at Beaver Stadium. It was a great, crazy experience. When the Carnegie Inn advertised for an Executive Chef, it was my opportunity to get back to fine dining. Almost five years later, another opportunity opened up, Otto’s in State College was planning to open Barrel 21 distillery and dining, one of the first distillery-restaurants in the country. I started before the floors were poured, developed the concept, menu and staff that was awarded “Best Fine Dining” in our first year. Once Barrel 21 was up and running, I started looking for my next challenge and found Centre Hills Country Club was looking for a new Chef. I didn’t have to think about it long, it was a perfect move. 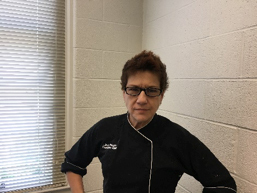 Now I am very proud to say I am the Executive Chef at Juniata College. 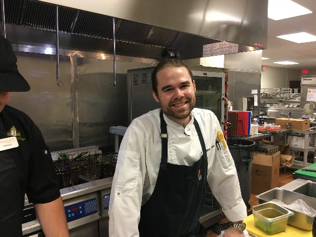 A graduate of the Culinary Institute of America, Morgan started his culinary career as a dishwasher at The Tavern Restaurant in State College, Pennsylvania while attending Penn State University. He's climbed up the ranks working for Chef Stephane Desgache at Bistro Brie and Bordeaux in the Catskills Mountains of the Hudson Valley, E Squared Hospitality as Chef de Cuisine at Horchata de Nueva York, and for Crestline Hotels & Resorts as Executive Chef and Food and Beverage Director in Williamsburg, Virginia. His love of cooking with family and bringing people together has driven his career. 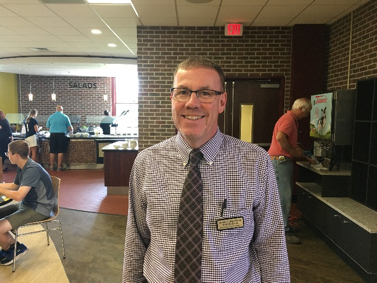 It is with great enthusiasm that he is back in Central Pennsylvania at Juniata College with Parkhurst Dining to deliver the preeminent college dining experience. Five Grandchildren Dominic, Dimitri, Colin, Gianna, and Olivia. Former K-12 General manager and former restaurant owner. Loves Adventure motorcycle travel, time with family, and restoring old furniture, motorcycles, and working in my yard. Really enjoying my new career choice working in Juniata with Parkhurst and looking forward to great things here.